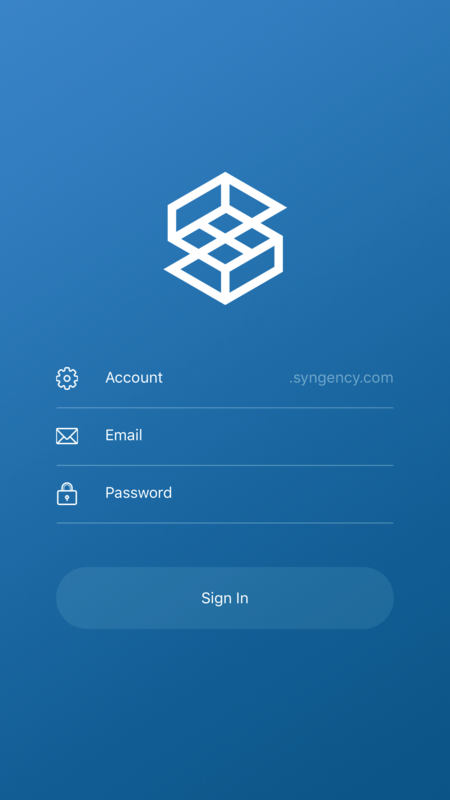 Your guide to downloading, signing into, and using Syngency's mobile app. 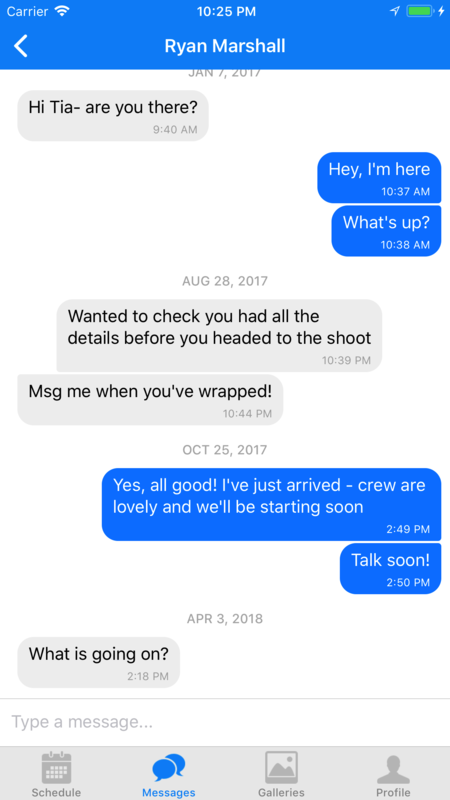 Syngency Mobile offers a number of great ways to stay in touch with your agency, and keep updated with your latest schedule, booking details, shoot locations, and more. 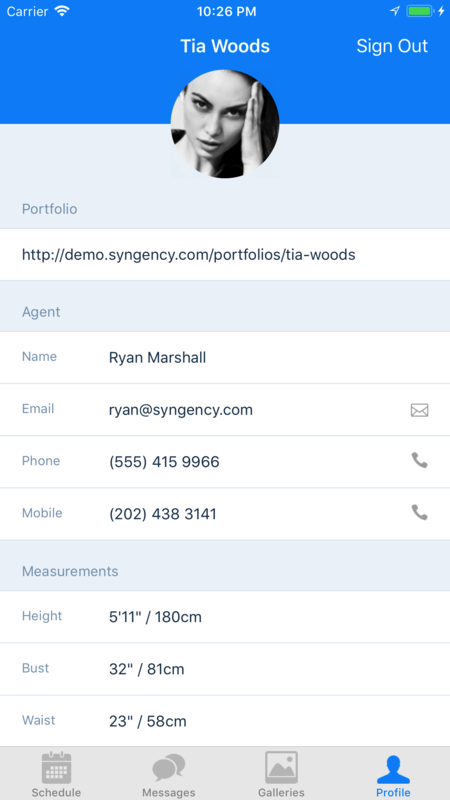 In order to use the app (or sign in to your Talent Portal), your agent will need to create a Syngency account for you. If you do not yet have one, please contact your agent, rather than contacting Syngency. 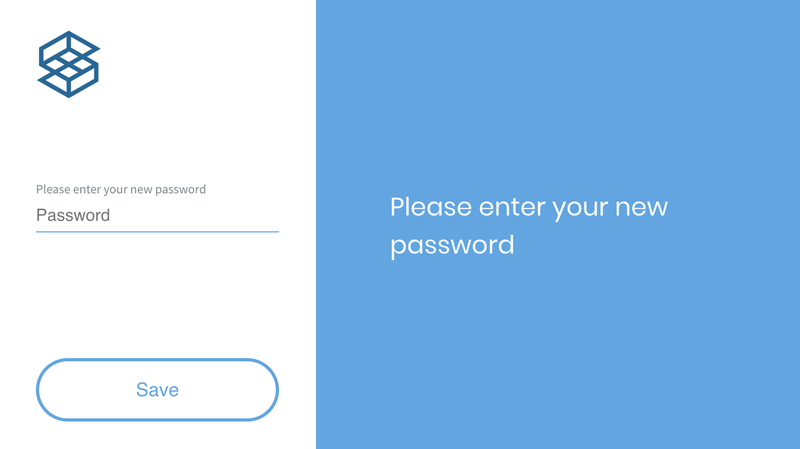 Once you've set your password, you're ready to get started with the app! Account - the account name from the email you received from your agent. Email - your email address, from which you received the email from your agent. Password - the password you set in the previous step. Once you have successfully signed in to Syngency Mobile, your account details will be remembered, so you won't have to sign in each time you open the app. 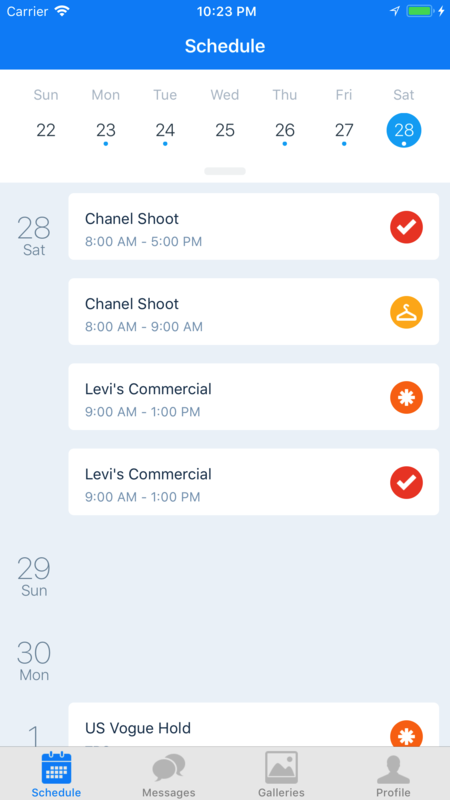 When the app opens, it displays the Schedules view by default. You read more about each section below. Schedules shows you all of your upcoming schedule information. You can scroll through your schedule in chronological order – the date on the left, job description and time in the center, and the schedule type (such as Casting, Fitting, Option, Confirmed Job, etc) shown in the colored circle to the right. 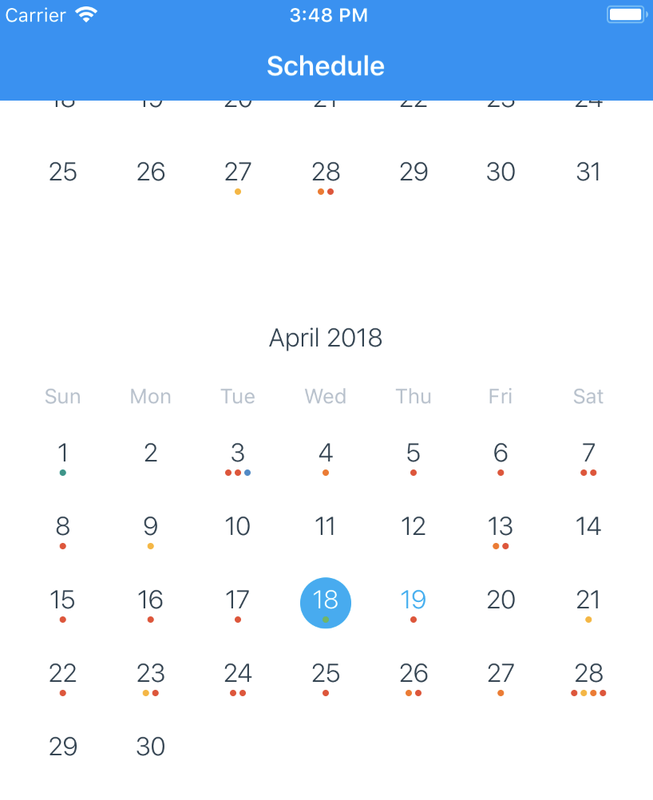 You can open a broader view of the surrounding months by swiping down on the calendar bar just below the row of dates displayed. 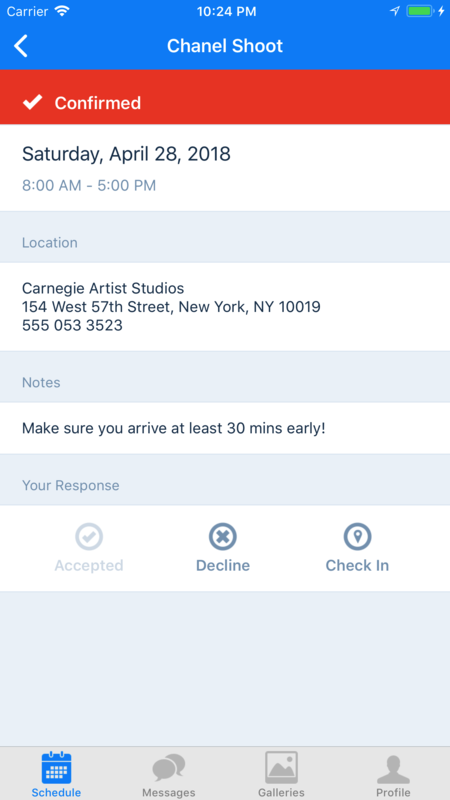 In the Open view, tap on a date to quickly move to that position in the schedule. 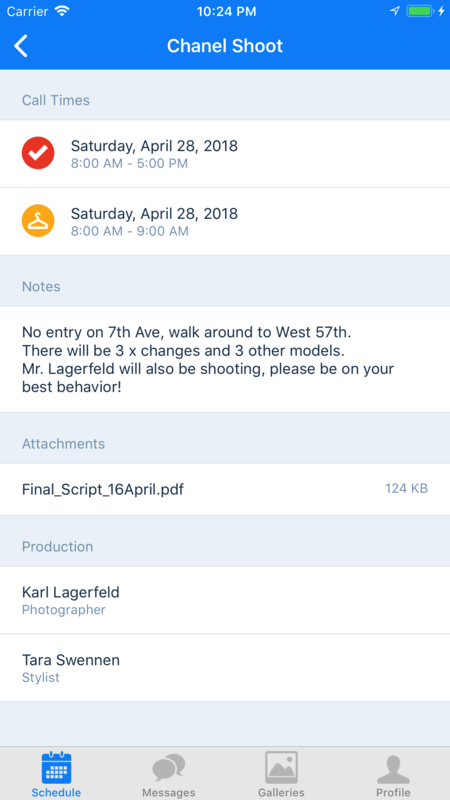 Tap on either of the Call Times to view their details, or on an Attachment to view the file in the app. This will send a message to your agent, notifying them that you have either accepted or declined the call time. On the day of the call time, you can also tap Check In, to let them know you have arrived on time. 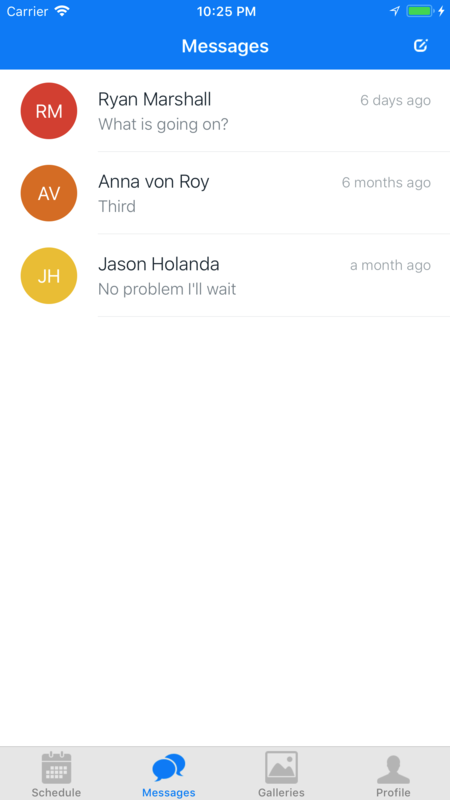 You can chat in real time with your agent via Syngency Mobile using Messages. Or tab the New icon in the top-right corner of the screen to select a new recipient to send a message to. 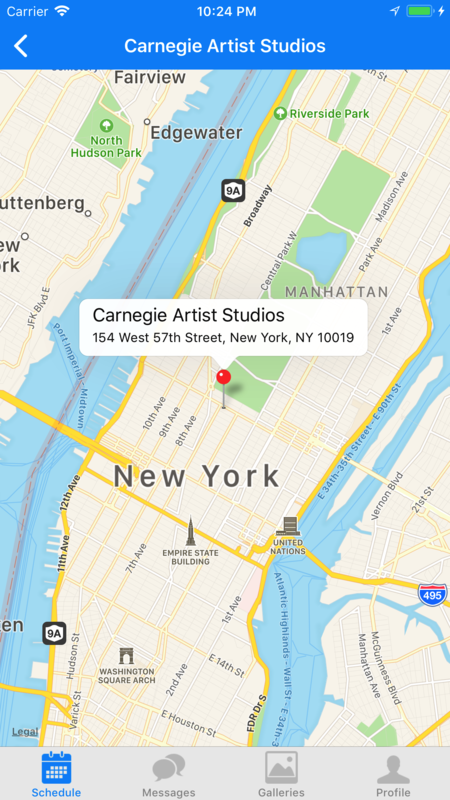 Syngency Mobile will sync all of your Syngency galleries to your device, so they are always available to take to castings, or show to clients. 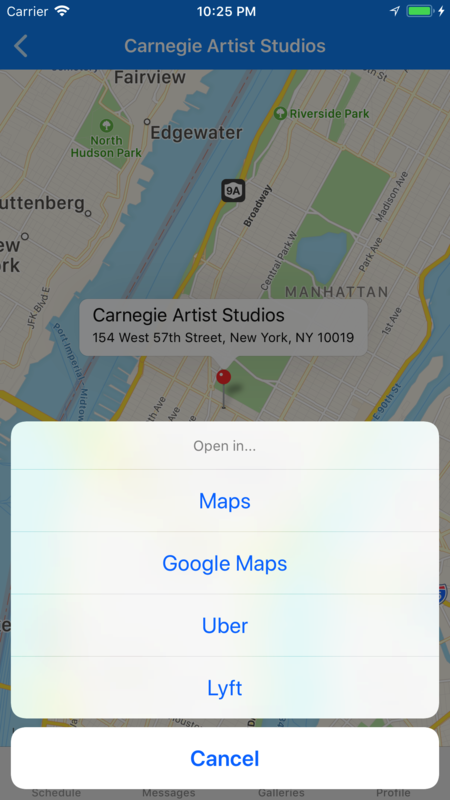 And tap on an image to open the full gallery view, where you can swipe left and right to move through the different photos in the gallery. Should you wish to sign out of the app, just tap the Sign Out button in the top-right corner of the screen.